All foreign nationals who plan to enter India should have valid international travel documents with a valid Indian visa obtained from an Indian Mission abroad. All visa seekers can apply for the visa process through an online application link. Individual should submit their applications for obtaining Indian visas through such a channel. The India visa procedure is not a complicated one in any sense. The applicant can visit the website of the Indian Mission concerned to check the progress of their application. 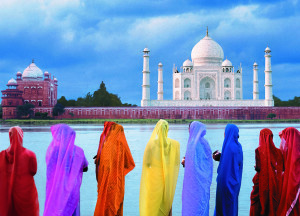 This article provides an overview of the India visa procedures. Indian visas can be categorized as diplomatic visa, business visa, emergency visa, conference visa, employment visa, journalist visa, entry visa, medical visa, student visa, research visa, transit visa, tourist visa and Missionaries visa. Once your application is received through an India Visa Application Center or directly, the Indian Mission concerned will require at least three working days to process the visa. The number of days taken to process the visa can mainly depend on the nationality of the person who applies for the visa, which would exclude any special cases. If you applied for the visa via the Online Indian Visa Application procedure, you will be allowed to upload a digital photograph in order to complete the visa application. The photograph should be uploaded in JPEG format. It should be a minimum of 10 KB and a maximum of 300 KB. The width and height of the photograph should be equal on all sides. The photo should present the front view of your full face with the eyes open. Your head should be centered within the photo frame, and the full head from top of the hair to the bottom of chin should be present in the photograph. The background should be a plain light color or white. There shouldn’t be any shadows on the face or the background of the photo. Also, there shouldn’t be any borders in the photo. Your head should measure from 25mm to 35mm in the photo. The eye height must be between 1-1/8 inches to 1-3-inches. The fees for Indian visas will depend on upon the type of visa you applied and its duration. The fee is divided into different types such as basic fee, processing fee and special fee. If you are using the online application process, you may find the basic fee at the end of the process. This fee is only an indicative figure since the final fee will be charged while you are submitting the application at the respective counter. The visa fee is non-refundable even if you withdraw your visa application later on or the visa is not granted due to whatever reason. You can get more information of this procedure from the local Indian Mission or the respective Visa Application Center in your country. e-Tourist Visa is an India visa procedure available for nationals of a specific set of countries in the world. Citizens living in any of these countries may avail themselves or this visa facility. People visiting India for recreation, sightseeing, medical purposes, casual visits to meet relatives and friends and casual business visits are covered through this system. The countries that are eligible for this visa system are listed on the website of the Indian Mission in your country. The visitor applying for such a visa should have a return ticket and sufficient money to spend on his/her journey to India. The passport should have a validity of at least 6-months from the day you plan to enter India.